I have been meaning to do a HG post about items that I am so dependent on, items that I have to have that I use on daily basis so that is why I called them my Holy Grail items! Most of the items I have been using them for years and I would always comes back to using them because they just seem to work the best for me~ so I wanted to share them with you as well! 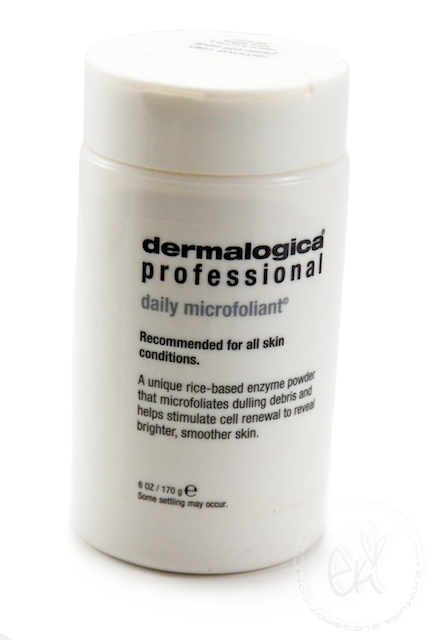 Daily Microfoliant is a truly unique rice-based enzyme powder that micro-exfoliates dulling debris and instantly leaves the skin noticeably smoother and brighter. The powder formula activates upon contact with water, releasing papain, salicylic acid and rice actives to smooth the skin and accelerate cell renewal. Daily Microfoliant is also formulated with a unique skin brightening complex of bearberry, aspergillus, grapefruit and licorice to help balance uneven skin pigmentation. A super soothing blend of green tea, ginkgo and colloidal oatmeal calms inflammation, leaving the skin extraordinarily clear and refreshed. 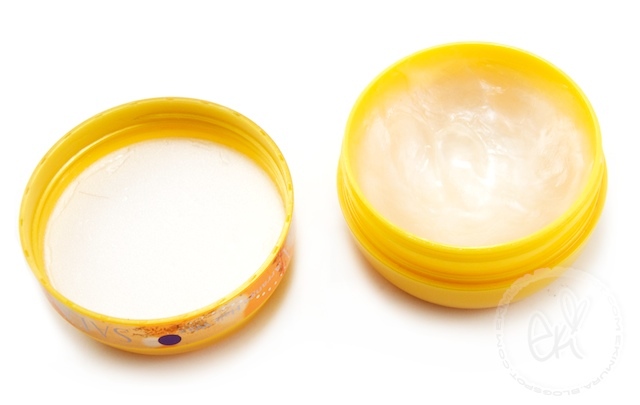 Ingredients: Microcrystalline Cellulose, Talc, Sodium Cocoyl Isethionate, Disodium Lauryl Sulfosuccinate, Sodium Lauroyl Glutamate, Colloidal Oatmeal, Oryza Sativa (Rice) Bran, Oryza Sativa (Rice) Starch, PCA, Allyl Methacrylates Crosspolymer, Hydrolyzed Wheat Protein, Limonene, Methylparaben, Titanium Dioxide (CI 77891), Allantoin, Salicylic Acid, Citrus Grandis (Grapefruit) Peel Oil, Papain, Ginkgo Biloba Leaf Extract, Camellia Sinensis Leaf Extract, Glycyrrhiza Glabra (Licorice) Root Extract, Cyclodextrin, Melaleuca Alternifolia (Tea Tree) Leaf Oil. Keeps my skin clear from blemishes and acne and my complexion looking smooth/bright/radiant made my skin look so MUCH healthier and its not harsh at all so you can use this everyday~ comes in a powder form so you add water to make it into a paste, non foaming sorta milky feeling with small chunks of rice enzyme exfoliates while you wash. To me this cleanser smells like rice so it doesnt bother me much and the powder form lasts forever,, 2.6oz should last you good +3 months with using it morning and night everyday and 6oz lasts you like +1 year so to me its very economical price due to the fact that you will get good uses from it. 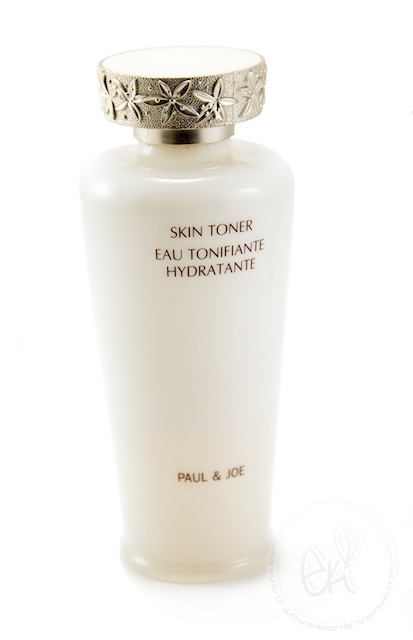 Paul & Joe Beaute Skin Toner: A nourishing, fragrance-free toner for all skin types. Paul & Joe Beaute's Skin Toner removes the last traces of makeup and cleanser while removing dead skin and nourishing with botanicals. Natural ingredients improve skin health and vitality, while the silky texture smoothes and softens skin for a supple finish. Ingredients: Water (Aqua), Butylene Glycol, Dipropylene Glycol, Citrus Aurrantium (Orange) Flower Water, Glycerin, Alcohol, Actinidia Chinensis (Kiwi) Fruit Extract, Aesculus Hippocastanium (Horse Chestnut) Seed Extract, Citrus Grandis (Grapefruit) Fruit Extract, Lilium Candidum Bulb Extract, Rosa Multiflora Fruit Extract, Rosa Rugosa Flower Extract, Sambucus Nigra Flower Extract, Sambucus Nigra Flower Extract, Chondrus Crispus (Carrageenan), Citric Acid, PEG-60 Hydrogenated Castor Oil, Sodium Citrate, Sorbitan Sesquioleate, Methylparaben, Phenoxyethanol. I wash my face morning and night so right after I use this toner, I dont use cotton to apply toners since I feel like its not really being applied on my skin but just swiping it off so I splash about dime size on my hand and pat it into my skin. smells amazing~ I love this scent sorta smells like grapes some what of a sweet floral to me so it gives me nice aromatherapy while I pat this on and it feels great, the consistency is light like water not thick at all but goes on very moisturizing/hydrating. Also it helps my skin looking dewy and radiant. 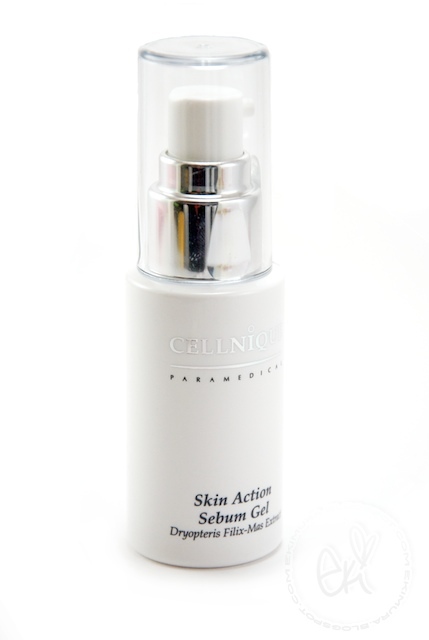 I have been using this for a year now on my second bottle since I am hooked and I am truly happy that I have gotten to use this product by cellnique letting me try out their products before and now I NEED to have this in my skin regimen because this products really do delivers what it claims. My skin have never been this smooth and clear before using this products,, microfoliant kept my skin pretty clear and smooth but I still had occasional breakouts but after adding this to my skin regimen my skin stays clear and super radiant that glow that I always wanted this gives products gives me that glow. After toning I take about a pea size and apply this items all over the area that I feel like its breakout prone and the most oiliest area not just on my T-zone as directed. Its will not keep your nose area completely free of black and white heads but where ever you apply this gel it will keep it breakout free. Whenever I dont use this gel my breakouts seems to happen so I know this stuff is what keeping my skin really clear most of all it gives me really nice radiant smooth complexion. At first applications felt overwhelmingly minty on the skin to a point I felt a burning sensation but after you use it for a while it feels cool and nice adds that nice clean feeling that I love. Keeps my pores tight and clear which makes my skin look smooth and radiant. Bottle is a ok size so it will last me about 5+ months if only used a pea size so its worth the price. DHC Hair Cosmetic Series Hair Lotion Morning contains Silk Protein, Ceramide and the extract of concentrated olive oil, leaving your hair silky smooth and straight. Smells really nice so you can use it as a pick me up when you hair is not feeling so great and it will make your hair smooth and silky feeling and its really light so it will not make your hair greasy or heavy. 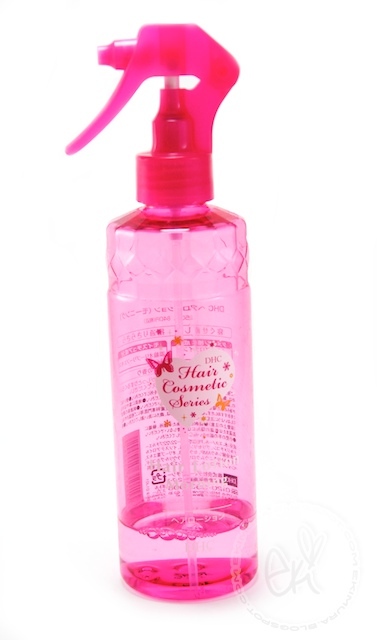 The spray bottle that this comes with are really nice fine mist so it distribute evenly and nicely which I really adore. its a decent size bottle as well. I have been hooked on this wax for like 3-4 years? I loved it so much that I bought like 3 backups and this 90g pot of wax lasts so many usage that Ive only used up one pot and 1/2 pot so far lol I started to use wax type of hair styling products first back in 2000 when I was in Japan and looking through so many hair styling products I gave a wax a try and I started using Ma cherie wax which I loved and the smell so pretty and there are so many different types of wax for different needs so its confusing to what type you need so basically what I look for in a wax is something that doesnt make my hair greasy, stiff, sticky, and gross so coming back to US and looking for a perfect hair styling products was always a miss for me it ended up doing one of the thing I hate about hair styling product. Now days wax type of styling products are getting big everywhere else so it isnt much of a problem finding a perfect wax but back in the day you only had a choice of spray, mousse, gel?... 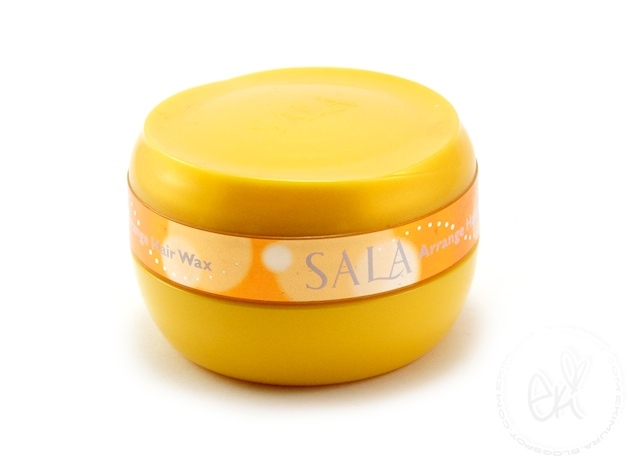 SO I love all Sala hair products~ they are made by Kanebo one of the largest beauty product makers which most product they make never fails to please me so I ended up getting this wax because it sounded so promising. I have crazy baby hair new growth that like to stick straight up and my hair can look dull from all the coloring so this shiny wax helps it all look tamed and shiny and on top of that it makes your hair stay put to how you styled it. 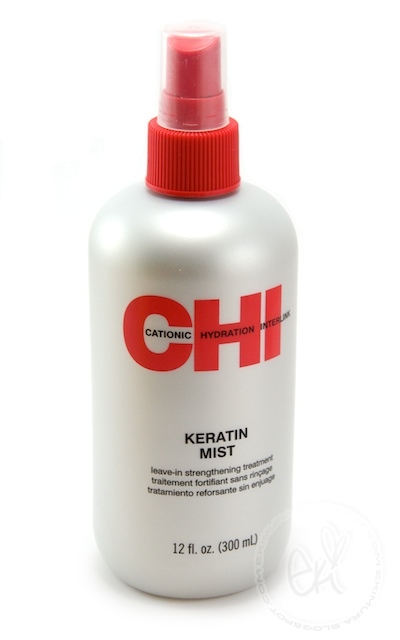 It smells great and you only need tiny amount to style your hair. If you use too much with any wax it can weight your hair down and makes it feel greasy so moderation is the key to using wax usually put wax to where you only need you dont really blend the wax into your hair but rather apply it on top of your hair and places that needs to be tamed for else you will feel like a heavy greasy mess... :P This wax is meant to be used to add shine, get rid of fly aways, and make your hair look like its healthy so I only need about a dime size I spread it on my palm and graze it on top on my hair and it makes my hair look so shiny and keeps it on place. While maintaining the ultra cool sensation of the ROHTO Zi: brand, FREE has enhanced functions to improve decongestion and UV-induced inflammation. Instill 2 to 3 drops 5 to 6 times daily. Alittle history behind Rohto,, founded in Osaka, Japan in 1899 and is one of the world's largest manufacturers of eye drops. Ok so if you are contact wearer I think its a must have to own eye drops especially Rohto eye drops since Rohto specialize in eye health care products and there are alot of benefits of using Rohto eyedrops, not only it will relieve your red eyes instantly without harsh chemicals and bring comfort to your tired dry eyes it also contain beneficial ingredients to help with your visions health, in Japan everyone carries around eye drops whether you are a contact wearer or not its considered to be really healthy to cleanse your eyes from everyday activities to air pollution. 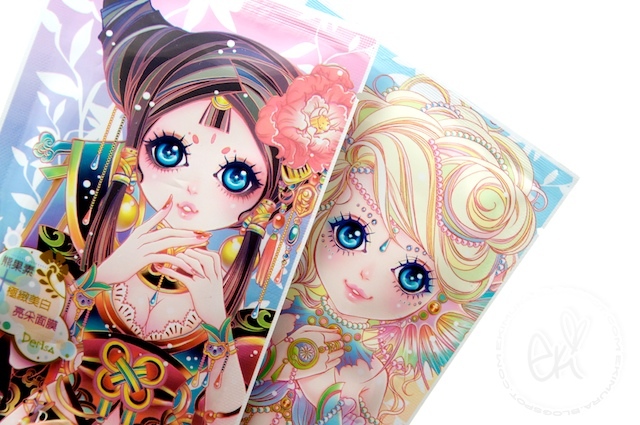 thanks for the HG post eki :D sorry blogger's been really mean to you lately not letting you post properly x_x well that's all right because this post is beautiful and very helpful! I'm definitely going to order some of the Microfoliant now.. I like scrubby cleansers very much! Thanks for sharing! I don't use any of those but I know Tsubasa-chan's product is pretty popular in Japan :) I should try out someday!!! OOOOOH thanks so much for sharing your HGs, Eki! I'm really interested in that Dermalogica cleanser - it sounds nicer than my cleansing grains hehehe. And I need that styling wax too! Great post! I definitely want to try out that dermalogica cleanser!!! it looks wonderful. thanks for introducing it to me! 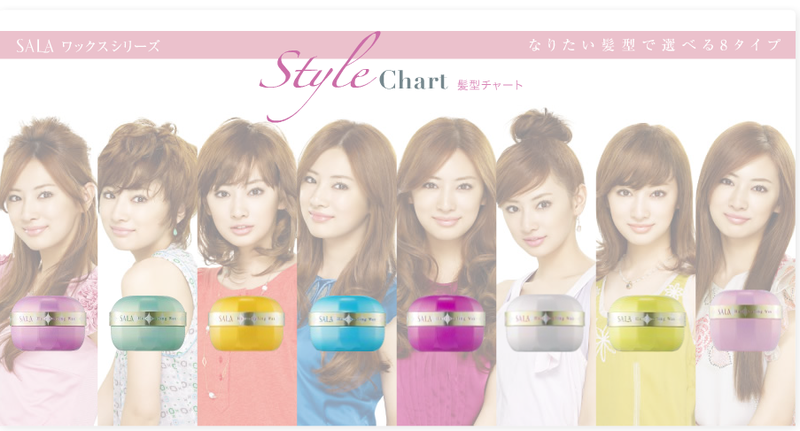 Stange enough but I was going to buy some of the hair stuff by Sana, I think the volumising one looks rather good for volume and stenth. 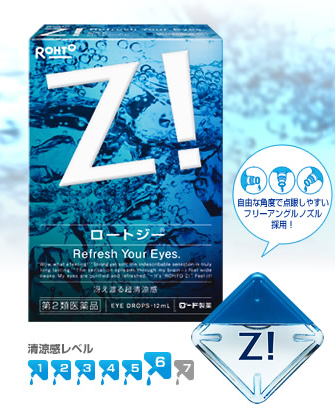 I have been looking for the rhoto drops , the contact lense version looks so refreshing, i think I would need to give some a try! The Dermalogica scrub is amazing to use. I have got back to using my Daily resurfacer, it really is a wonder product! Thanks for sharing your HGs Eki-neechan! I adore the Daily Microfoliant exfoliator as well.. but these days I use LUSH Angels on Bare Skin in place of Daily Microfoliant. Thank you so much for this HG post, eki! Now I really want try the Dermalogica microfoliant, it sounds really great! Great post Eki :) Thanks for sharing all your HG items. 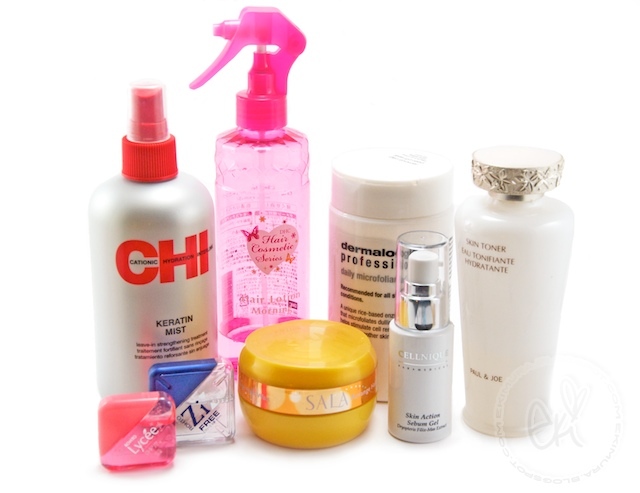 Your skin looks so amazing I'm really interested in the Dermatologica cleanser. I also wear contact lenses so I know all about the discomfort and need for eye drops. 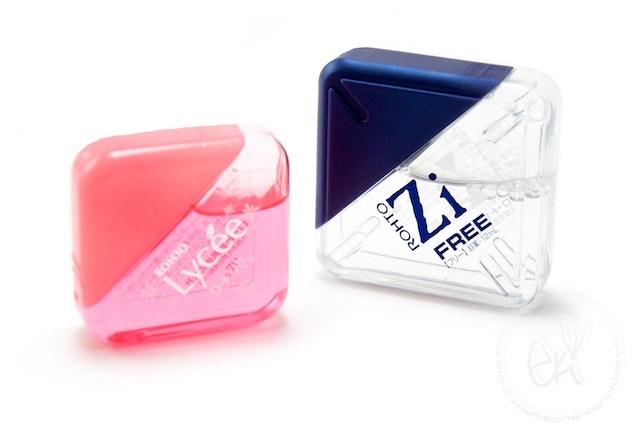 I'll definitely look into the Lycee ones from Japan (thanks for letting us know it's not as good as the US one). I'm currently using eye drops I get at the Pharmacy and it's Systane Ultra. I find it a lot better than Visine which is pretty popular here. Where can you buy it at? 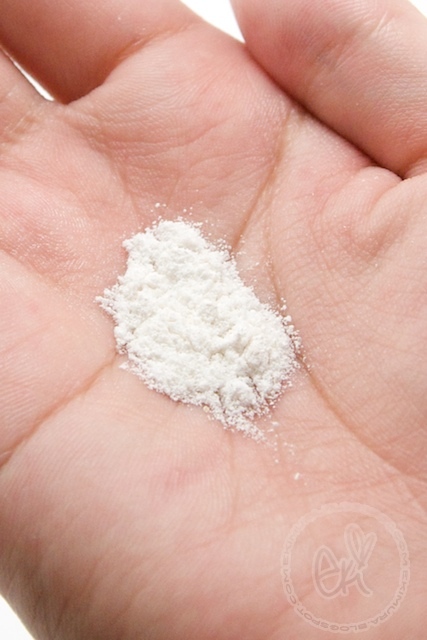 I've heard good things about the Dermalogica powder. 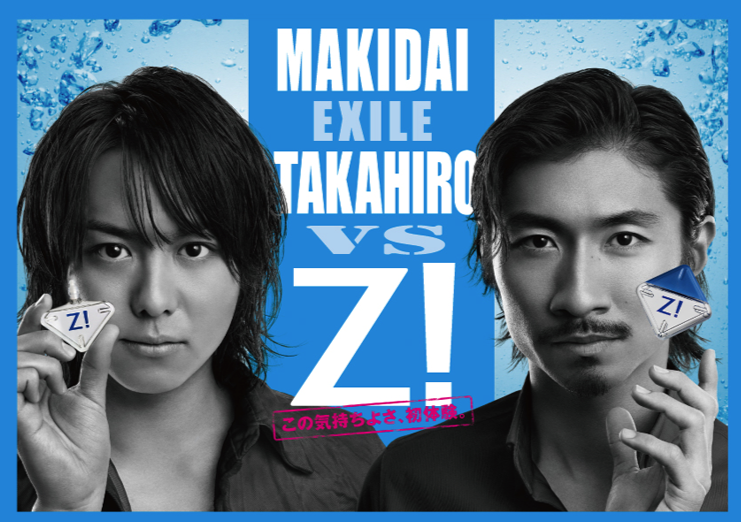 You are enabling me again Eki! And I just got my DHC Saylic cleanser in too! LOL! The Cellnique used to work for me, but it hasn't lately. I wonder if my oil slick over took it! LOL! aww, next time I'll send Zach some makeup, too! heehee JK!!!! I WUV U!!! I have heard of Dermatologica and how it has a huge legion of followers, but it is expensive so I held off...but the idea of the powder is so novel I might give it a try! Your skin is flawless...it is hard to imagine you ever having any type of acne at all! Also a big fan of DHC products...I have a similar DHC product but it doesn't have a real smell, I think it is some sort of hair product in a little pink bottle for day & night use? :) I like the new commenting format! DHC is great too I used only use DHC for good years and their water Balancing lotion was my favorite! 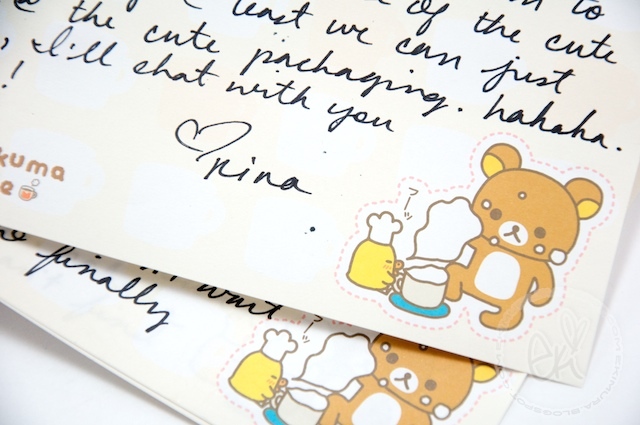 rina iS SO sweet! 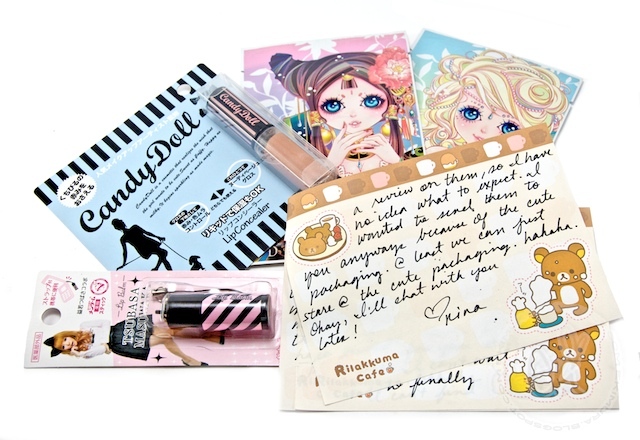 and i love the HG items :D your descriptions are soooo thorough. hello, i would like to know if the Dermalogica Daily Microfoliant cleaner you recommended is sold in singapore? What is Sniper Spy keylogger? Actual Spy keylogger takes screen shots of programs run at prescribed intervals. Locate your hard drive that can be it to a file and as soon as the computer itself gets switched on. the main memory. So you are trying to sell you.